Zippo Year Of The Monkey Red Matte | BUDK.com - Knives & Swords At The Lowest Prices! You just can’t beat a Zippo when it comes to a great, high-performing and long-lasting lighter because they truly have set the bar. 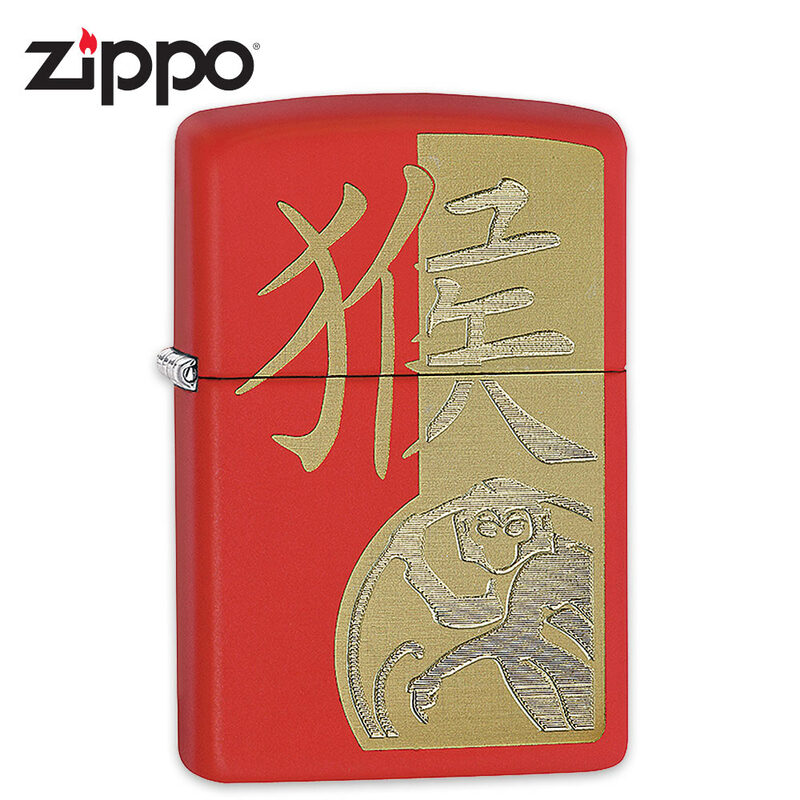 Celebrate the upcoming Year of the Monkey with this laser and auto engraved Red Matte lighter. Most importantly, this lighter provides Zippo's legendary windproof performance, guaranteed! Made in the U.S.A.